On its own, a slot tournament is an incomparable experience, wonderfully capturing the excitement and anticipation that the casino environment can create for people.Â But when you take that slot tournament, structure it as a national competition, invite participation among properties and players across the nation, and hang up a $1 million championship prize, you have the ingredients for a â??canâ? ?t missâ? thrill of a lifetime. Thatâ? ?s what makes the TournEvent of ChampionsÂ® 2016, coming soon to a casino near you, so special. Tied to no single casino brand, the tournament is a veritable â? ?openâ? competition for slot enthusiasts as well as the casino properties that host it. First held in 2012 as regional events in California and Washington, the concept is the brainchild of Linda Trinh, the vice-president of marketing and promotions for Everi Holdings Inc., a leading provider of content, technology, and gaming-related software to the global casino industry. One of Everiâ? ?s award winning products is the trademarked TournEventÂ®, a slot tournament system that gives casino operators the ability to convert slot machines into tournament mode easily and seamlessly with the click of a mouse. Trinhâ? 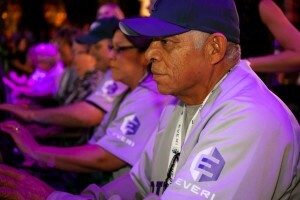 ?s idea to market the TournEvent system as a solution for casinos to allow software to simplify the creation of the coveted world-class slot tournament was to formulate collaboration between Everi Holdings and casinos across the country through a national slot tournament. Trinh characterized the involvement of Everi in TournEvent of Champions as a â? ?third party.â? This unique industry alliance creates a win-win-win proposition among Everi, the properties, and the players themselves. Barry McGrady, director of gaming at Little River Casino Resort in Manistee, Mich., knows first-hand what this impact brought to his player base. That experience really paid off for their guests. 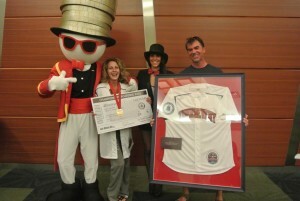 Mike and Lori Makowski of Traverse City, Mich., have personal knowledge of the Everi TournEvent of Champions experience. The husband and wife team are past tournament finalists. Lori, representing Turtle Creek Casino in their hometown, finished 10th in 2013 when the championship was held at the Venetian in Las Vegas. 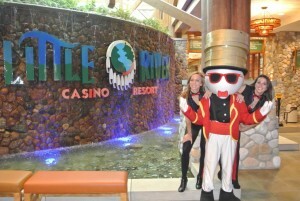 Mike was a finalist from Little River Casino last year at Wynn Las Vegas XS Night Club. Lori admitted the competition can be intense, especially the anticipation of progressing through the rounds of play, but she had a way of breaking the tension. Mikeâ? ?s button-pushing technique? â? ?Fast and furious,â? he said without a momentâ? ?s hesitation. So just what is it about slot tournaments that players crave and casinos are eager to deliver? Slot tournaments are truly in a class by themselves. By the very nature of slot play, success or failure in them is founded on pure luck. But try to explain that to the participants themselves or the rooting galleries behind them! The players can be a study in concentration, their eyes riveted on the reels that spin before them as they ring up combinations of winning and losing symbols. They can be as intensely competitive as poker players as they employ their own particular style of button-pushing in an attempt to lock into a winning rhythm. They can be quiet or they can be loudâ? ?VERY loudâ? ?as they shout encouragement to their electronic cohorts. They can tap the play button or they can pound it. Players of every persuasion may be found at any given tournament. Some slot tournament participants insist upon wearing a glove on their playing hand to protect their precious digits, the accessory almost an armament to battle. They are the warriors of the casino, pugilists determined to outsmart the computer program against which they’re pitted while at the same time intimidating their opponents, not to mention Dame Fortune. Players may opt to surround themselves with lucky charms of all to entice Lady Luck to smile kindly upon them, or they may engage in mystical rituals, such as wearing certain clothing, eating special foods, or doing something the very same way they did it the last time they won in fervent hope of a repeat performance. For slot tournament players, the one-armed bandit can be their best friend or their worst enemy, their source of unlimited joy or taunting frustration, their ticket to riches or their bitter disappointment. When you win, you feel like hugging your machine. When you lose, you feel like kicking it. Itâ? ?s an experience every dedicated slot player deserves to have, and thanks to Everi and TournEvent of Champions, itâ? ?s all possible. Even Trinh herself is ecstatic with the leaps and bounds by which her â? ?babyâ? has grown, knowing its meteoric rise in popularity is an expression of the casinos themselves. The first â? ?realâ? TournEvent of Champions was held in 2013. Eighty-eight players representing 77 casinos competed for the first national title and a $100,000 grand prize. The next year, which saw Wynn Las Vegas XS Night Club host the finals for the first time, 123 finalists from 104 casinos battled for $500,000 in prize money. Last year, the first millionaire was minted from among a quarter of a million players from 99 casinos in the United States, Canada, and even Peru. One hundred and eighty-two finalists went to the championship of the $1.4 million competition, won by Rita Kellerman, who represented Ho-Chunk Gaming in the Wisconsin Dells. Starting in the spring and continuing through the end of August, each participating casino has the ability to structure its semi-finals and finals however they choose. Everiâ? ?s promotions team provides properties with the general guidelines. An assigned Everi promotions specialist works with each casino to ensure each TournEvent of Champions tournament is a success. Properties are free to schedule the events when they choose. In so doing, some casinos will host a single event while others stretch out the semi-final tournaments over a period of time. Some casinos choose to charge a buy-in for players to participate, some tournaments are free, while still others are by VIP invitation. Many casinos are already on board to participate in this yearâ? ?s 5th TournEvent of Champions, and the list continues to grow. Several new markets are represented by properties eager to create a never-before felt experience for their player bases. Two things are certain. First, The Money ManÂ® will make a personal appearance at each participating property to encourage and cheer on the players, and second, each participating casino will receive a Norwegian Cruise Line package to be given away during the qualifiers. The cruise package is for seven days and is valued at $1,500. Once the individual casino competitions get under way, each winning representative will receive $800 in round-trip airfare for two to Las Vegas; four-night hotel accommodations; transfers to and from McCarran International Airport; food and beverage credit; and of course a seat in the championship finals boasting over $1.3 million in prizes. 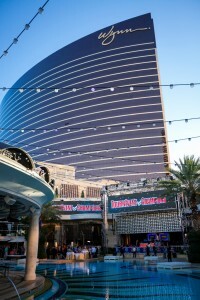 The championship finals are scheduled for September 28 at the Wynn Las Vegas XS Night Club. So bring along whatever makes you feel lucky to a participating casino and give those reels a spin for a chance to become a millionaire in the gaming worldâ? ?s true slot championship.